In summer there are daily ferries from Piraeus to Serifos, with departures every morning and almost every afternoon. In the winter, frequency is less. Board the boat on the Tselepi quay located near the Piraeus metro station. 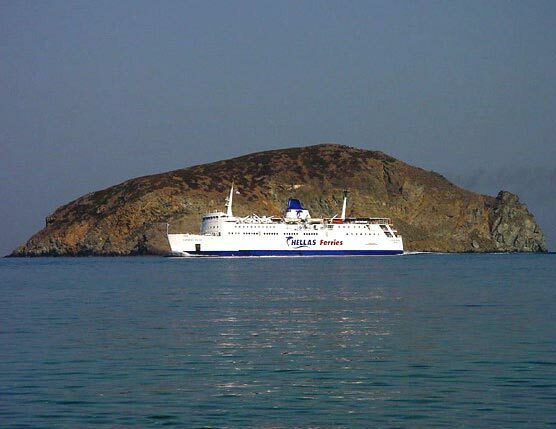 The trip with the normal ferry lasts four hours. The high speed boats are less charming, but the voyage is only 2.5 hours. For more information, call the harbor office in the port of Piraeus at (30) 21 04 22 60 00 / 01. 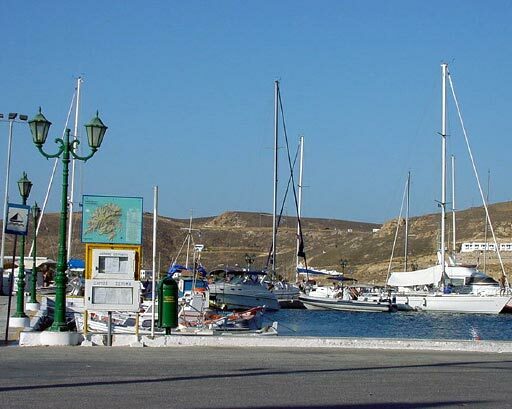 For those who travel with their own boat, the port of Serifos has well-organized harbor services, in particular for provisioning, fuel and water. In addition, an engineer is available to help with needed repairs (22 81 05 14 70). 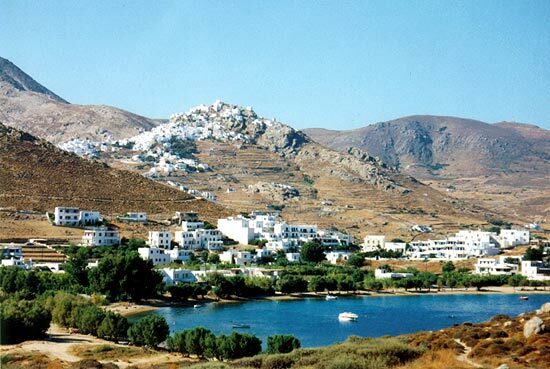 Buses for Chora and the villages of Panagia, Galani, Kallistos, Koutalas,Megalo Livadi and the Taxiarchon Monastery start from Livadi, the port of Serifos. Schedules are posted at bus stations in the port and in Chora. The frequency varies according to the season, but in the summer buses normally run from 7:45 - 24:00. However, renting a vehicle (car, motorbike, scooter) is essential for those who want to discover the more remote parts of the island and its beaches independently. Livadi is well-equipped for tourists. Everything needed for your stay can be found here: hotels/rooms for rent, restaurants, gift shops, mini-markets, banks, car rental, gasoline, etc. To the west of Livadi is the beach Lividakia, easily accessible by foot and a good choice for families with children. 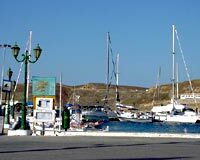 The atmosphere is quieter than in Livadi, the beach is easily accessible and, for night birds, it is close to the bars and discos in Livadi. In Livadi, we suggest a trip to "Margarita's" at the east end of the port - a very popular spot with a traditional environment. At "Stamatis," you can sit at a table on the water and enjoy good portions at fair prices. "Takis" is an excellent choice for grilled meats, especially lamb. "Mocha Café" undoubtedly offers the best fish in the port. In Chora, "Petros", is located near the main bus drop off and features traditional food. With a terrace overlooking the village, Oi Plakes is worth a visit for both the food and the view. 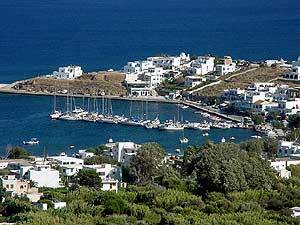 In lower Chora (Kato Chora), look for "Perasma," which has a fine view and excellent mezedes choices. In Livadi, the evenings in the Yacht Club can be "hot" and "Karnaio" is known for its pop music. "Roman's Bar", removed from the cluster of port restaurants and bars, is calmer and friendly. At Full Moon, you'll pass the evening in a relaxing lounge chair overlooking Lividakia Beach. Finally, "Vitamin C" offers a cultured environment and music to match. In Chora, in addition to Stou Stratou, you will find "Karavomilo" or "Vassileas" both on the principal square where the buses arrive. 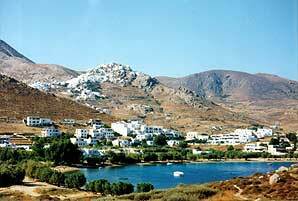 The only clubs in Serifos are in Livadi. Dance away the night at "Metaleio" where pop music is a magnet for those who can party until sunrise. Earlier in the evening, stop here for an elegant meal. For lovers of Greek music, we suggest "Captain Hook" which can also accommodate late night revelers.